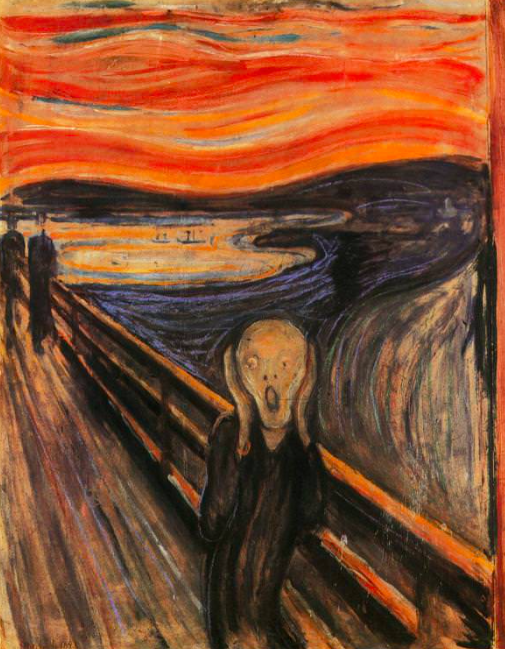 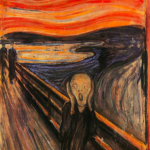 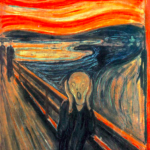 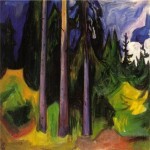 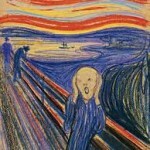 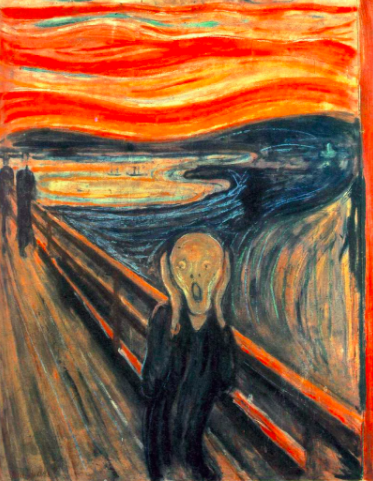 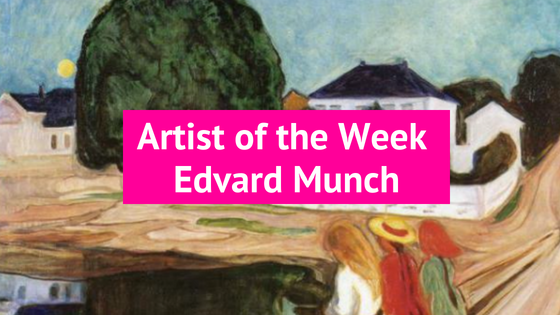 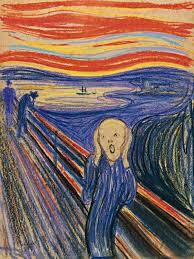 PopUp Painting’s artist of the week is Edvard Munch. 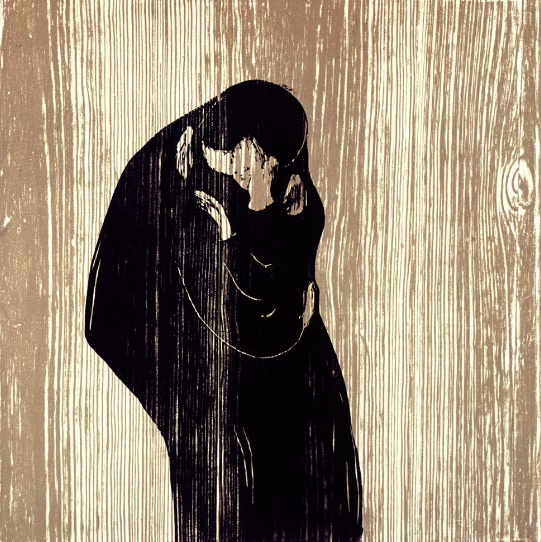 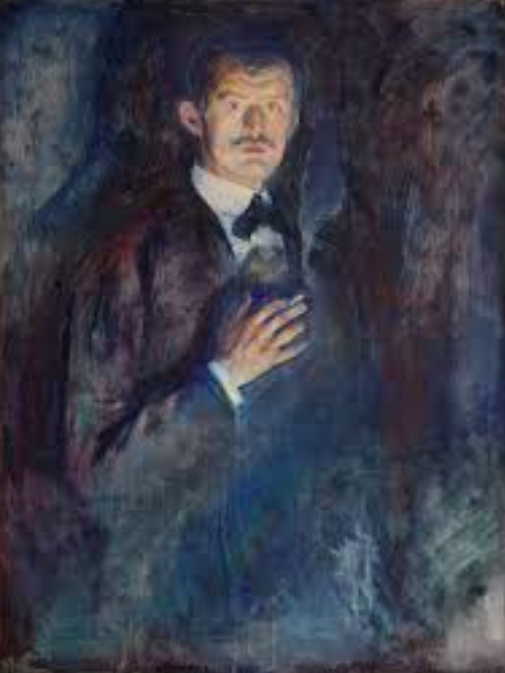 Edvard Munch is a Norwegian born, expressionist painter and printer. 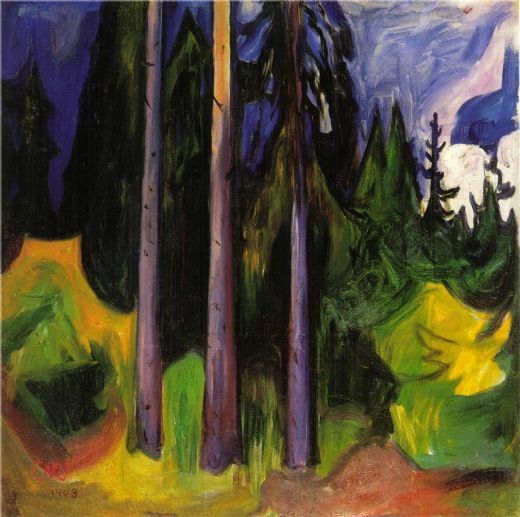 In the late 20th century he played a great role in German expressionism, namely because of the strong mental anguish that was displayed in many of the works he created. 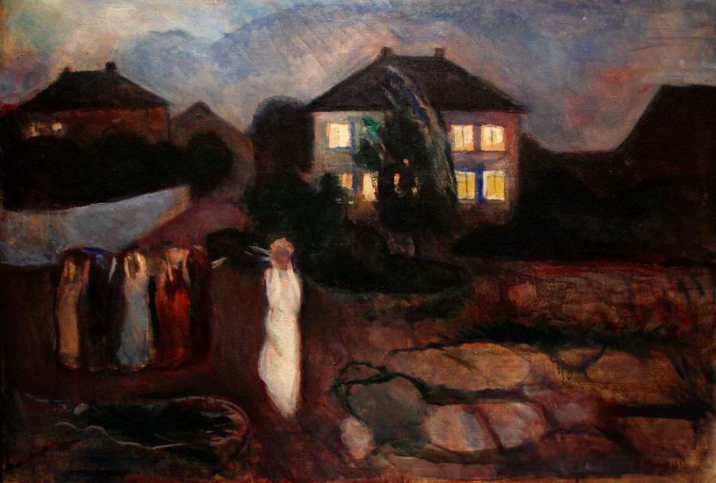 Only a few years after he was born, Edvard Munch’s mother died of tuberculosis and he was raised by his father. 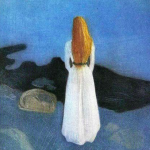 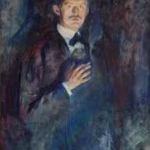 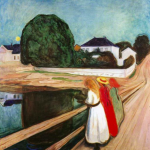 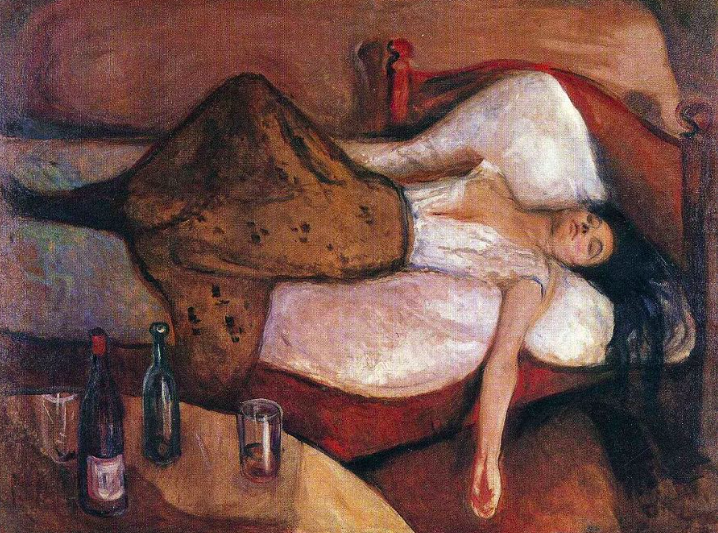 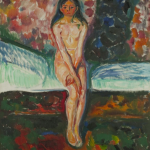 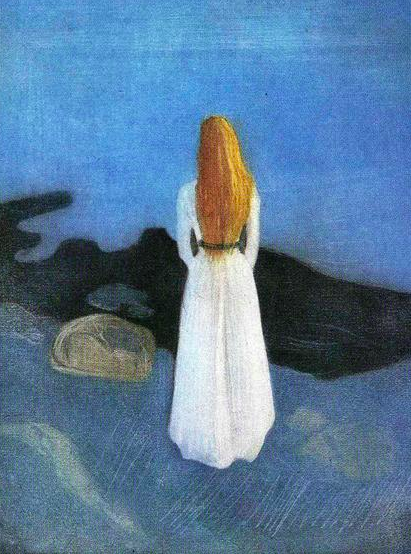 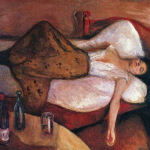 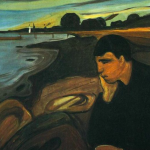 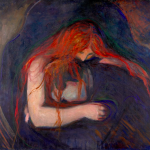 Edvard Munch’s father suffered from mental illness which had a profound effect on the artist. 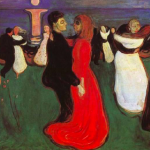 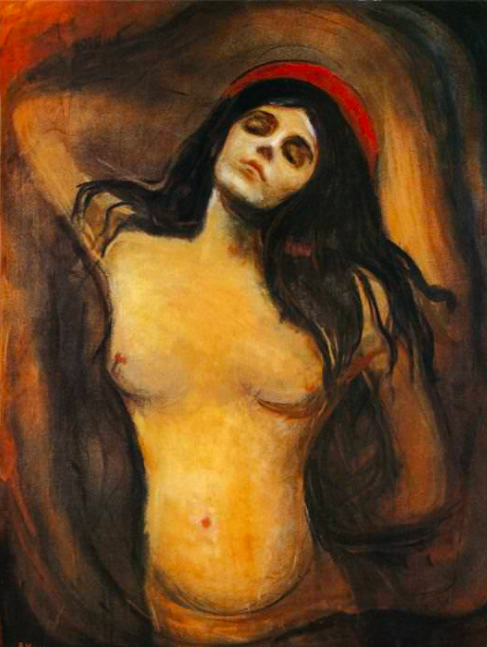 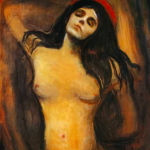 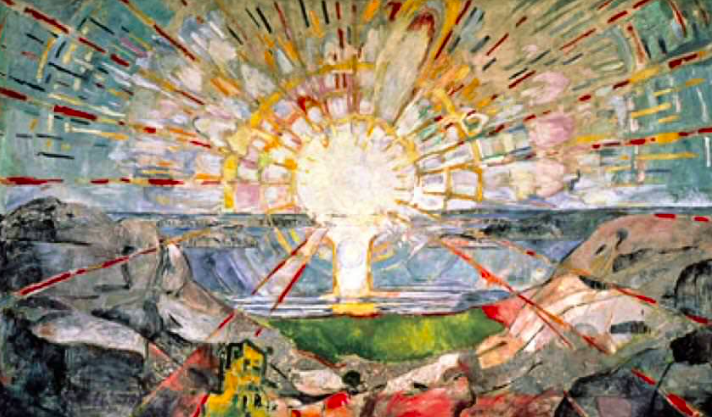 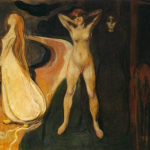 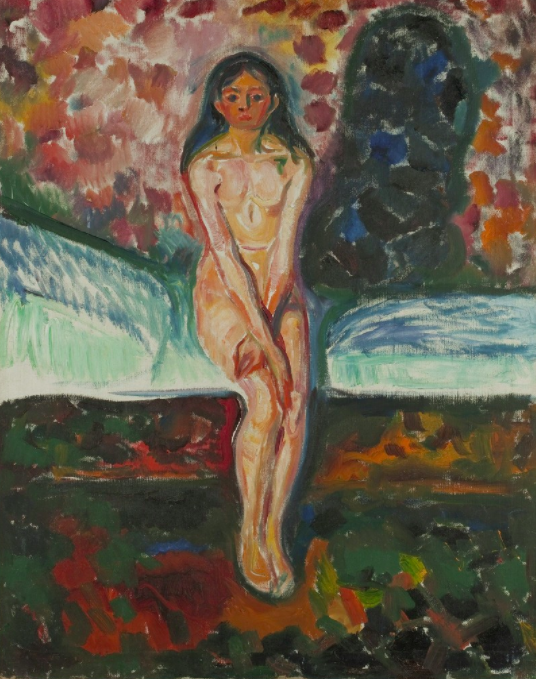 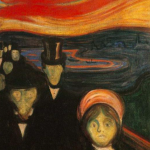 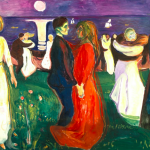 Munch’s father raised him and his siblings with an impounding fear of hell, which influenced the artist to create work that often had a dark tone. 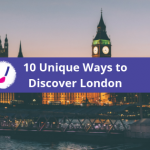 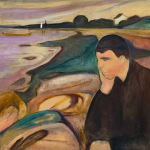 In 1885, Edvard Munch traveled to Paris and was influenced by the Impressionist artists Monet and Manet, and the Post-Impressionist artists Van Gogh, Cezanne and Gauguin. 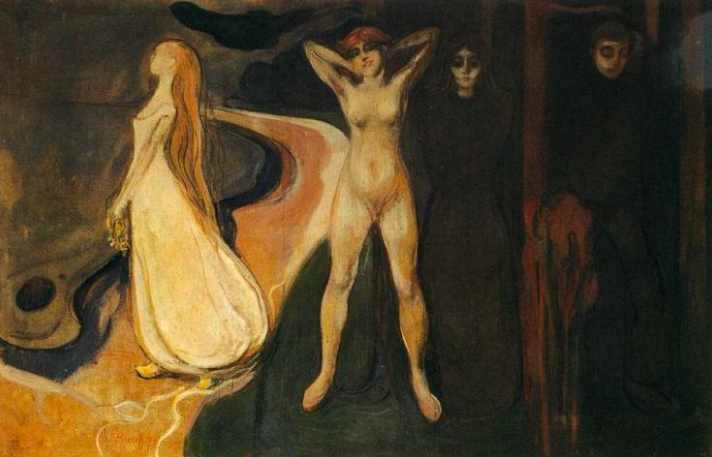 A majority of the works which Edvard Munch created, were referred to as the style known as ‘Symbolism’. 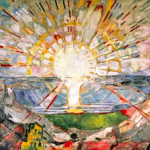 This is mainly because the paintings he made focused on the internal view of the objects, as opposed to the exterior and what the eye could see. 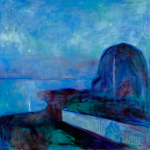 Symbolist painters believed that art should reflect an emotion or idea rather than represent the natural world in the objective, quasi-scientific manner embodied by Realism and Impressionism. 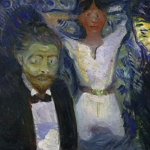 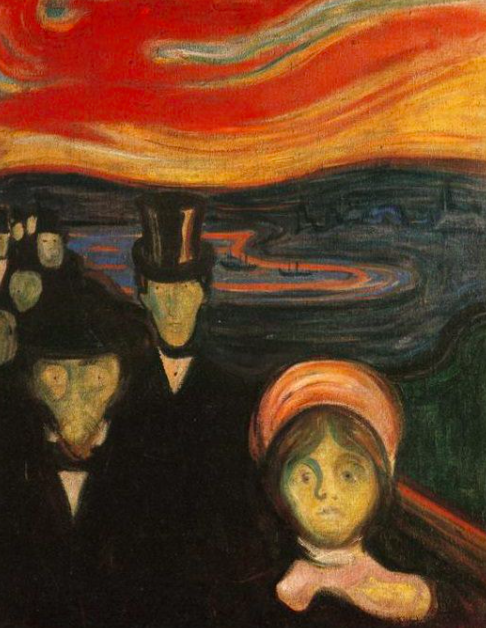 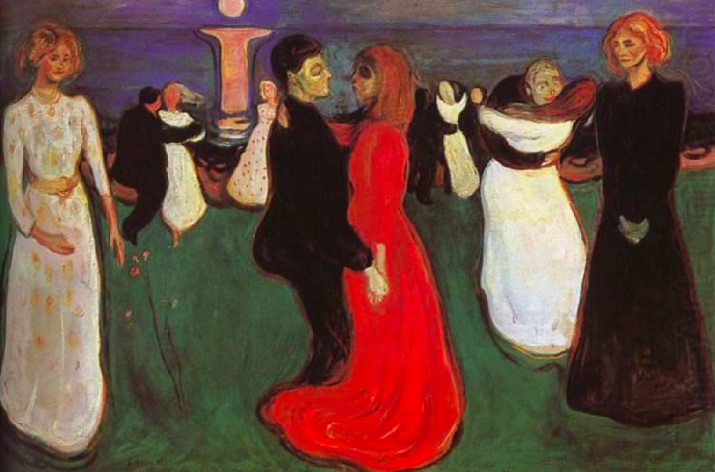 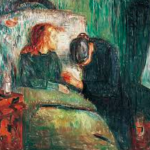 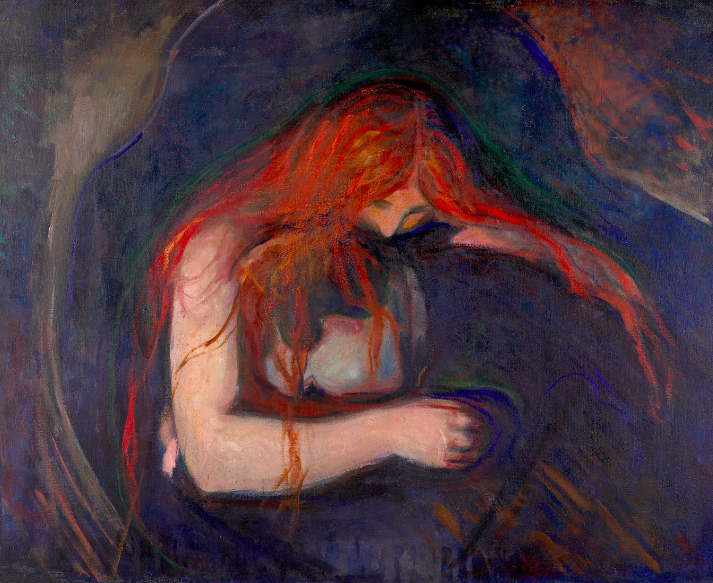 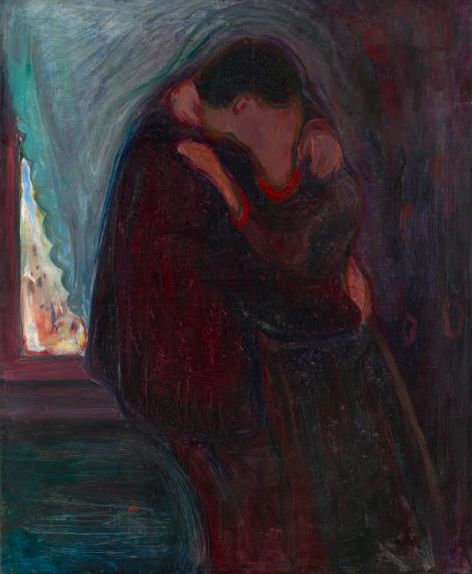 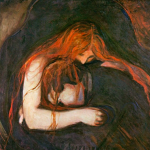 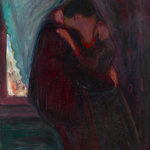 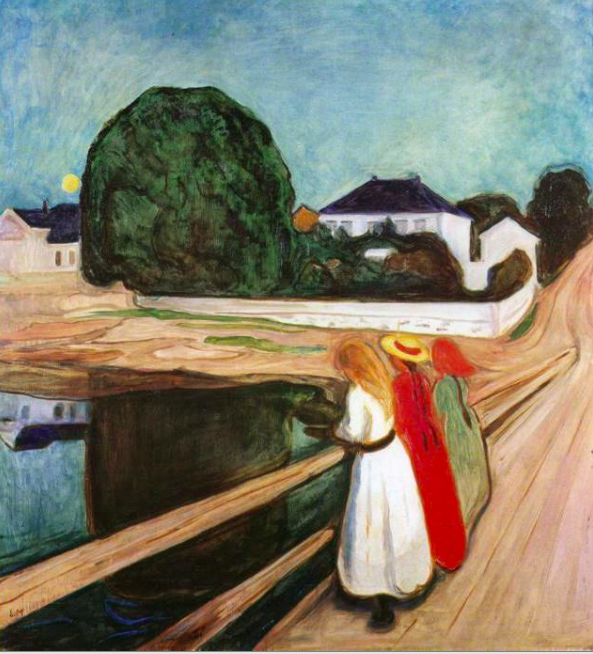 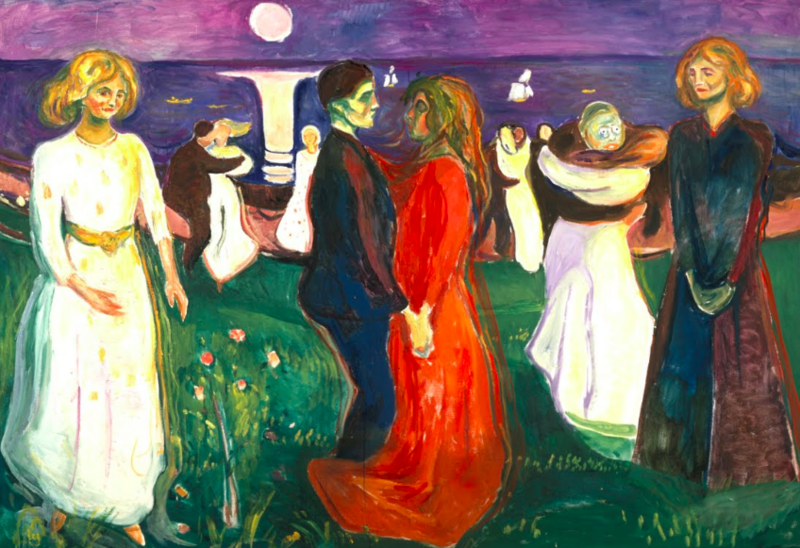 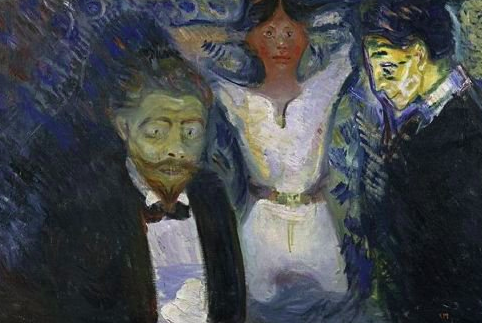 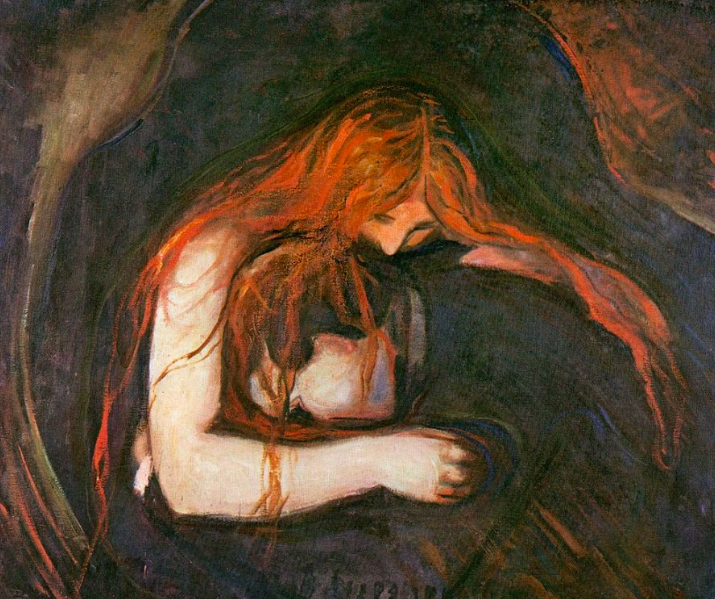 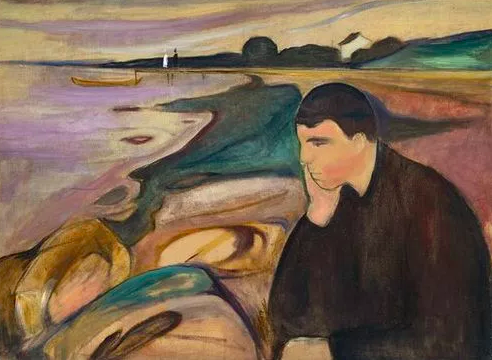 Many of Munch’s works depict life and death, love and terror, and the feeling of loneliness. 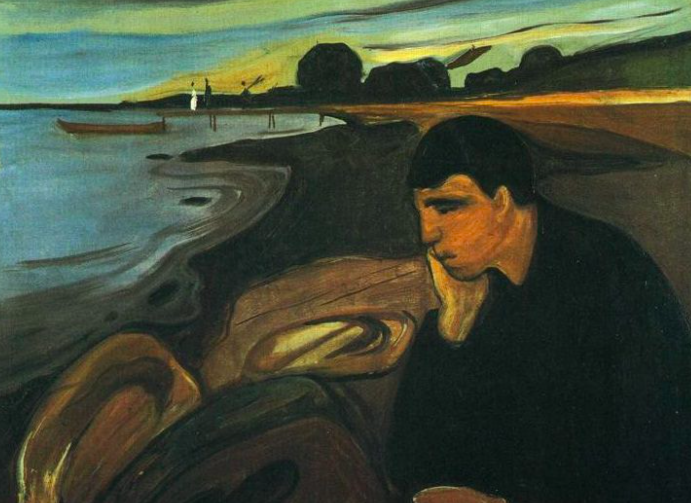 These emotions were depicted by the contrasting lines, the darker colors, blocks of colour, sombre tones, and a concise and exaggerated form. 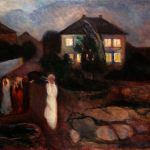 Edvard Munch donated all of his work to the Norwegian government and thus the government decided to build the Munch Museum of Art.